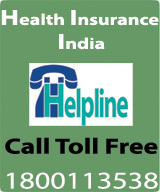 Persons in the age group of 55+ are concerned about health insurance after their retirement, when they will no longer be covered under a company’s group mediclaim policy. As the competition grows and more and more insurance companies come out with better products with better features- We have the solutions appearance on the horizon. Apollo Munich has asked for approval from the Insurance Regulatory and Development Authority (IRDA) to launch Optima Vital, a ‘top-up product over corporate medical cover’, convertible to health cover after retirement. To be eligible, one needs to be already covered, as an employee, by an employer-firm and below 58 years of age; if so, the new product gives the option of taking an additional ‘top-up’ coverage to the former, and then, just before completing 58 years (even if the retirement is later), opting to change this into full individual coverage. Apollo would then do so without any extra fee or medical test. 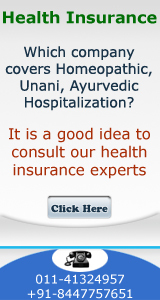 We understand that other insurance companies are developing similar products. And are going to launch the same in near future. The move would help a large number of people who are often denied health cover once they cross 50 years of age. This is despite an Irda directive to insurance companies to increase entry age for cover to 65 years and not to refuse a policy on grounds of age or load senior citizens with extra premium. Insurance companies are, however, not eager to do so; both fees and tests get stiffer with age, especially after 50 years of age. Usually, if someone wishes to buy health insurance in later life or after retirement, there is a waiting period, or the cover comes after various exclusions on “pre-existing diseases”. At present, apart from being reluctant to extend coverage for the elderly, many insurance companies do not even reimburse the cost of medical tests undergone during the process of checking or updating a cover.